Every year in August HamletScenen presents the Shakespeare Festival, with plenty of open-air theatre, at Kronborg Castle in Helsingør. The Shakespeare Festival is a celebration of William Shakespeare’s works and original open-air theatre, and is a meeting place for Shakespeare enthusiasts and other inquisitive visitors from all over the world. Here, audiences get to experience spectacular and original interpretations of Shakespeare’s works under the open sky, where art, culture and nature ensure that each performance is guaranteed to be a magical experience. Every evening, before the performance, there is an opportunity to enjoy a lovely picnic made from local Nordic ingredients at the Princess’s Bastion, with its panoramic views out onto Kronborg Castle, the Swedish coast and the town of Helsingør. 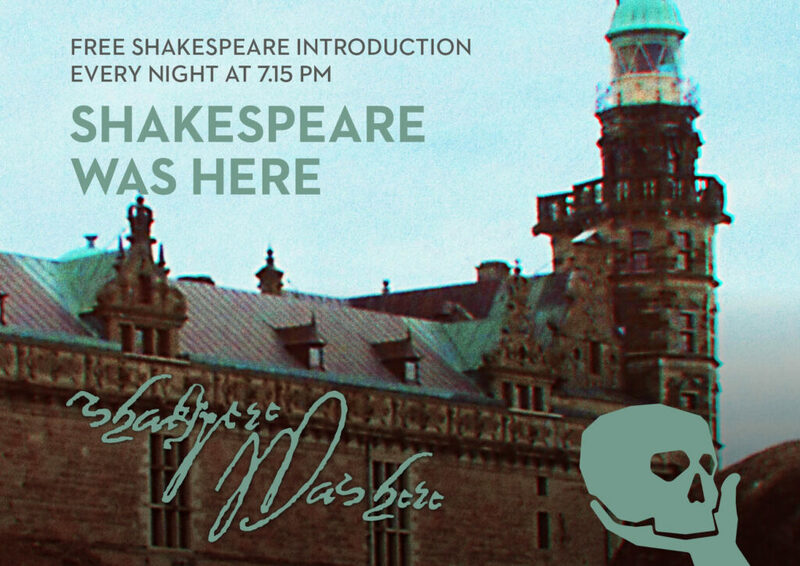 The Shakespeare Festival is continuing to build on a 200-year-old theatrical tradition at Kronborg Castle that goes all the way back to 1816. 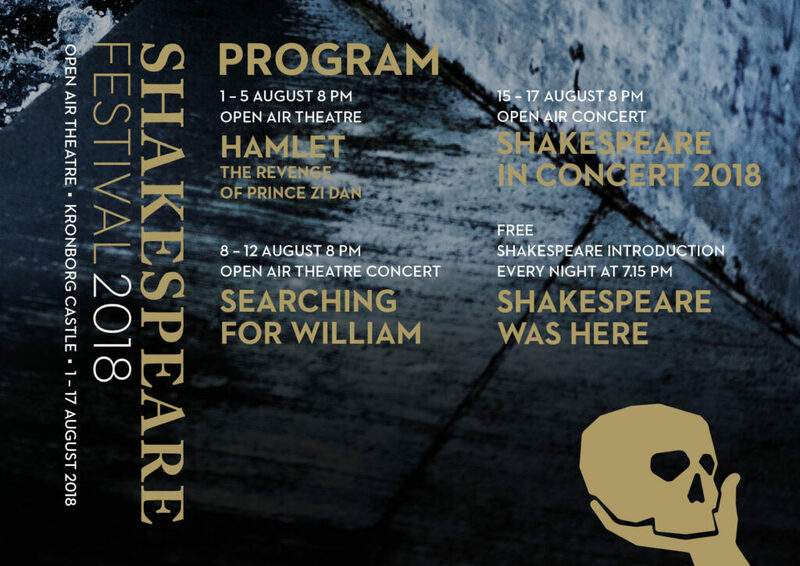 True to tradition, this August HamletScenen will be presenting the Shakespeare Festival in the open air, and this summer the festival will be featuring some very special international guest productions. Last year the festival inaugurated a new stage area built out over the moat, with the handsome Kronborg Castle as its backdrop. This entirely unique setting will complete the experience when the stage is occupied by Peking Opera, a German theatre concert and this year’s in-house productions Shakespeare in Concert and Shakespeare Was Here. 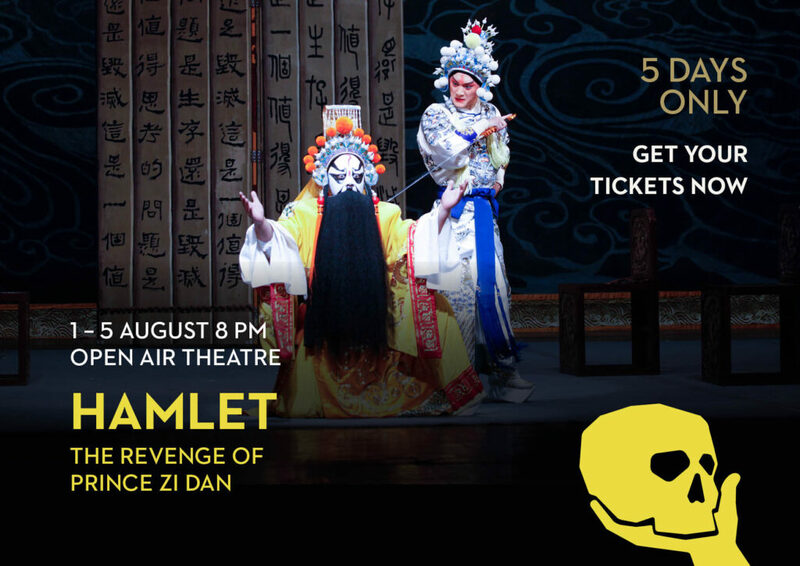 On 1 August the Shakespeare Festival opens with a reunion when Shanghai Peking Opera Company performs Hamlet – The Revenge of Prince Zi Dan. The production was specifically created for Kronborg Castle back in 2005, when the first performance sold out and the run had to be extended by a day. The enthusiasm extended beyond the public, with reviewers also heaping praise on the production. It is therefore with particular pleasure that HamletScenen’s director, Lars Romann Engel, is inviting the production back to Kronborg. 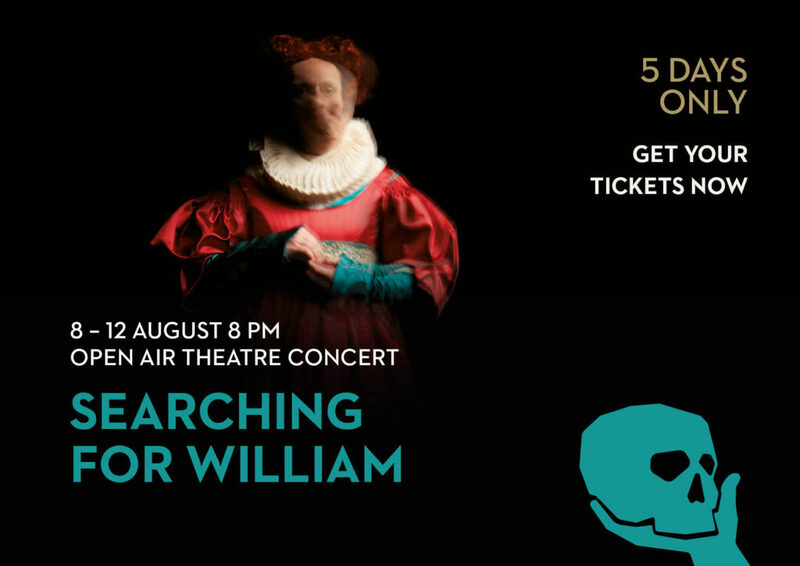 Searching for William, a pop-rock theatre concert that combines light, sound and film to create a strong visual and sensory narrative. This is anything but classical theatre, with the audience invited into a wonderful world somewhere between dream and reality. Fronted by the critically acclaimed actor and singer Christian Friedel, who has guested at the Shakespeare Festival at Kronborg on two previous occasions, the band Woods Of Birnam has been performing this visual and poetic theatre concert to sold‑out venues. 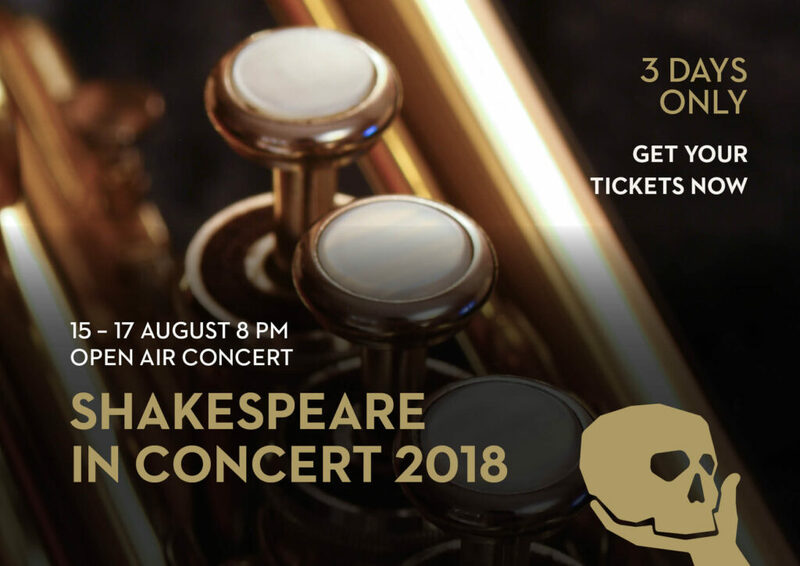 Shakespeare in Concert 2018 – a wonderful combination of brass players, tenors, ballet dancers and music, who set to work playfully when they join forces to seduce and surprise their audience under open skies. The world-renowned trombonist and composer Elias Faingersh took the public by storm in 2016, when he guested at the Shakespeare Festival. He is now returning, this time accompanied by the Dania Brass Ensemble with the composer Mogens Andresen, the haute-contre tenor Valdemar Villadsen and ballet dancers to present a musical and evocative evening. Shakespeare Was Here – A new feature at Shakespeare Festival 2018. Anyone holding a ticket for Shakespeare Festival 2018 is given, completely free, an opportunity to experience a small piece of newly-written Danish drama. Prior to the evening’s shows, the historian Harrison Stratford, played by Adam Brix, guides the audience through the 400-year history of Shakespeare. He has invited five researchers to a Shakespeare symposium, and together they will discuss the myths and claims about William Shakespeare – and the big question: was William Shakespeare ever at Kronborg? All the roles are played by Adam Brix in this enjoyable little production that is performed on the stage prior to the start of the evening’s festival programme.